Robert A.M. Stern is a Brooklyn born, New York-based architect of world renown. His major works include 15 Central Park West, one of the most prestigious and expensive addresses in New York, and Philadelphia's Museum of the American Revolution. But he also happens to be responsible for the design of Chicago’s bus shelters. Stern is also a prolific author, having written five definitive histories on New York's architectural evolution. As dean of the Yale School of Architecture for almost two decades, he also helped educate a generation of American architects. In 2011, Stern was honored with the Driehaus Architecture Prize for his contemporary classical work. Now, his first Chicago skyscraper, Streeterville’s One Bennett Park, is nearing completion. Stern said his goal with One Bennett Park was to build an iconic skyscraper with a strong profile. When developers Related Midwest first approached Stern about developing the Streeterville site, they had a shorter building in mind. But Stern had other ideas. Stern has called his work “postmodern” or “modern traditionalist” and says his goal is to create something new that references the past. For Stern, a good architect is not someone who designs buildings to win the praise of other architects but one who designs with the public in mind. He also laments the fact that, as he puts it, too many architects are ignorant of what has come before them. 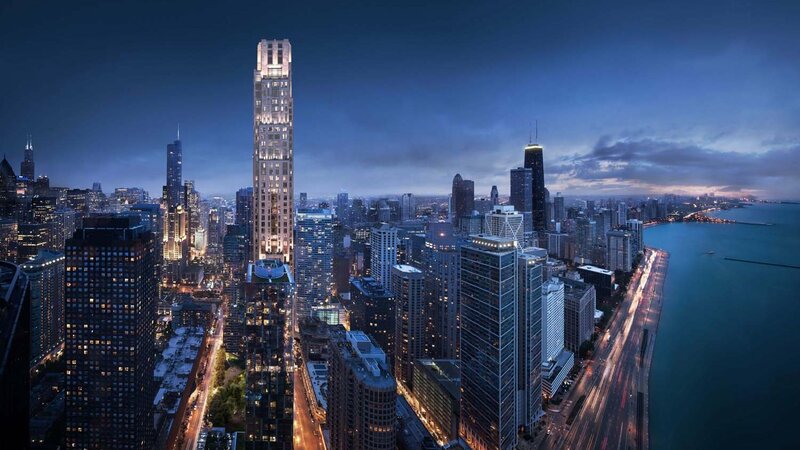 Stern joins Phil Ponce to discuss his new Chicago skyscraper and his architectural philosophy.